The Test family grew by two teams in 2018, as Ireland and Afghanistan made their debuts against Pakistan and India respectively. In a refreshing contrast to limited-overs cricket, bowlers constantly held the upper hand in the five-day game. The year saw 48 Tests, one more than were played in 2017. As many as 43 of them ended in result, of which 28 were home wins. Significantly, the percentage of draws (10.42) was by some distance the lowest in a calendar year having at least ten Tests. Moreover, only 21 Tests went into the fifth day, thus giving fodder to advocates of four-day Tests. There were only two day-night Tests, compared to four in 2017. India played 14 Tests – the most by any team – of which only three, including Afghanistan’s first Test, were at home. Failure to grab key moments led to a 2-1 loss in South Africa, which was followed by a 4-1 humbling in England. They made short work of the West Indies at home, and ended the year on a high by taking a 2-1 lead in their four-match series in Australia, thus maintaining the number one spot. Moment to remember: With the series locked at 1-1 coming into the Boxing Day Test at Melbourne, India achieved a commanding 137-run win that helped them retain the Border-Gavaskar Trophy. They now enter the new year on the cusp of history, as even a draw in the final Test at Sydney will be enough to give them a maiden series victory in Australia. Moment to forget: India would have backed themselves to bounce back in the second Test against England at Lord’s, considering that they had lost the first Test at Edgbaston by only 31 runs. However, an abysmal batting display across both innings saw them get bowled out for 107 and 130, which resulted in a thumping defeat by an innings and 159 runs. Having already ceded the Ashes at the end of 2017, England lost by an innings at the SCG to give Australia a 4-0 win. The poor run continued in New Zealand, where they lost a short series 1-0. At home, they had to come from behind to draw 1-1 with Pakistan, but then revived their fortunes with a 4-1 win against India. They reserved their best for the last, as they memorably blanked Sri Lanka 3-0 away. Moment to remember: The genesis of England’s historic 3-0 clean sweep in Sri Lanka lay in a determined fightback on the first day of the first Test at Galle. Debutant Ben Foakes (107), ably supported by Jos Buttler and Sam Curran, rescued England from a troublesome 103/5 and propelled the total to 342, paving the way for a 211-run win. England grew in confidence as the series progressed. Moment to forget: Besides being remembered as the inaugural day-night Test in New Zealand, the first Test at Auckland will also go down in history for one of England’s most shocking displays with the bat. After being inserted, England were demolished by Trent Boult and Tim Southee within the first session for just 58 . It could have been even worse, as the score read 27/9 at one stage. The Black Caps emerged victorious in each of their three series in the year, at the end of which they climbed to third place in the rankings. With a 1-0 win at home, they won a series against England for the first time since 1999. An even greater success was in store in the United Arab Emirates, where they showed great resolve in defeating Pakistan 2-1. They rounded the year off by beating Sri Lanka at home. Moment to remember: New Zealand beat Pakistan in an away series for the first time in 49 years after a 123-run win in the deciding Test at Abu Dhabi. They were still trailing by 14 runs when they lost their fourth second-innings wicket, but skipper Kane Williamson (139) and Henry Nicholls (126*) staged a remarkable turnaround to deflate Pakistan. Moment to forget: The second Test against Pakistan at Dubai saw New Zealand implode in stunning fashion, as their batsmen collectively caved in to the wiles of Yasir Shah. Within 14 overs, the Black Caps capitulated from 50/0 to 90 all out, and an improved showing in the second innings was not enough to prevent an innings defeat. The Proteas dictated terms at home, but came a cropper in their only overseas outing. Despite some shaky batting, they put it across India by a margin of 2-1, before winning their first home series against Australia since readmission by 3-1. The tour of Sri Lanka exposed their batting frailties, as they lost both Tests tamely. As the year drew to a close, they beat Pakistan at Centurion to take a 1-0 lead. Moment to remember: South Africa completed their first home series win against Australia since readmission with a massive 492-run victory at Johannesburg. This was their highest margin ever, and the fourth-highest overall. 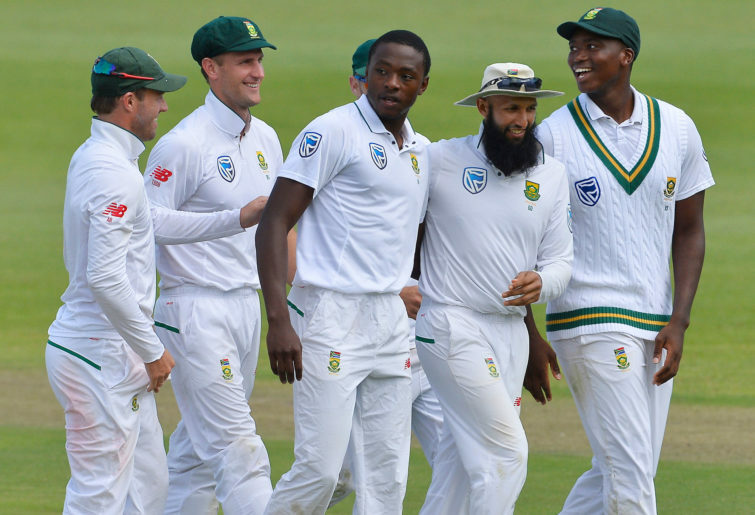 Australia had won the first Test at Durban, but the Proteas fought back by triumphing at Port Elizabeth and Cape Town. Moment to forget: A relentless spin assault from Sri Lanka hurtled South Africa to a 278-run defeat in the first Test at Galle. Replying to Sri Lanka’s 287 in the first innings, the visitors were rolled over for 126. Their second innings was even worse, as they mustered just 73 – their lowest Test total since readmission and also their lowest in Asia. Australia crushed England in the last Ashes Test early in the year, and then won the first Test of the four-match series in South Africa. But their joy was short-lived due to the ball-tampering episode at Cape Town. They were duly beaten by the Proteas by a margin of 3-1, and later went down to Pakistan in the UAE. They ended the year with a strong possibility of losing their first home series against India. 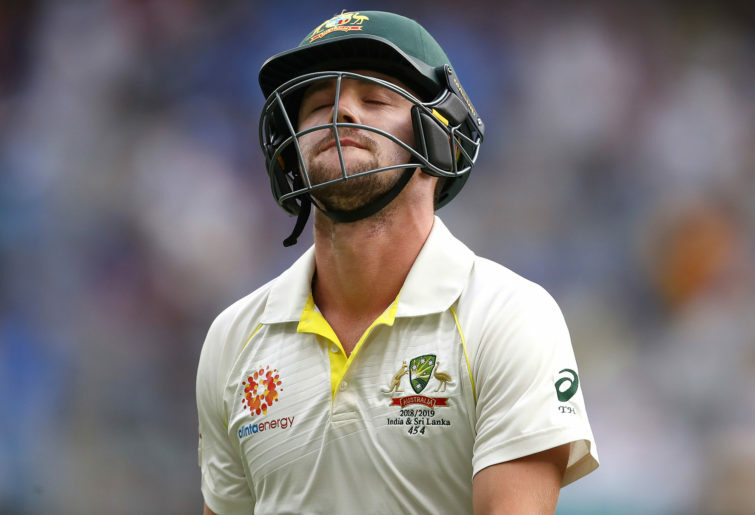 Moment to remember: Australia’s quest to prolong their dominance in South Africa began on a positive note, as a sturdy all-round show gave them a 118-run win at Durban. The star of the match was Mitchell Starc, who captured 5/34 and 4/75 to put the Baggy Greens in front with three Tests to go. Moment to forget: With the series poised at 1-1, it seemed that a gripping second half was in store. 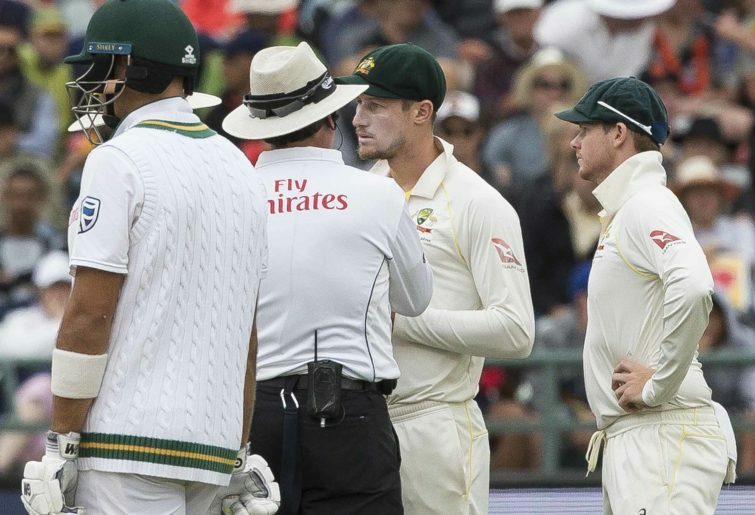 However, Australia were rocked by allegations of ball-tampering during the third Test at Cape Town, which led to lengthy bans for captain Steven Smith, David Warner and Cameron Bancroft. Beleaguered by the turn of events, they lost by 322 runs, and were then handed a 492-run pasting at Johannesburg. By winning a series in Bangladesh, Sri Lanka achieved what the likes of England and Australia could not on their last visits. They won the third Test in the Caribbean to draw the series 1-1, before lording over South Africa at home. But the progress was neutralised towards the end of the year, as they endured the ignominy of being whitewashed at home by England. This was followed by a 1-0 defeat in New Zealand. Moment to remember: Though the chance of winning a maiden series in the Caribbean was gone, Sri Lanka won a day-night low-scorer at Bridgetown to ensure a 1-1 result. They bowled the West Indies out for 93 after conceding a first-innings lead of 50, before the Pereras, Dilruwan and Kusal, steered them from the depths of 81/6 to a four-wicket win. Moment to forget: Sri Lanka squandered a dominant position in the opening Test against England at Galle. England were in trouble at 103/5 on the first morning, but ended up with 342 on the board. Sri Lanka were left facing a target of 462, and were beaten by 211 runs. This set the tone for the series, which culminated in Sri Lanka’s second whitewash defeat at home in 15 months. Pakistan survived a few scares before winning Ireland’s inaugural Test. They beat England at Lord’s, but had to be content with a 1-1 draw in the two-match series. 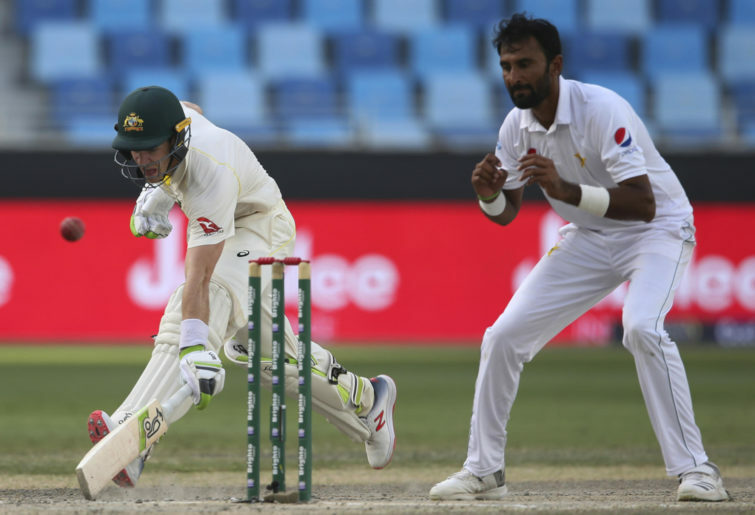 The home season saw Pakistan beat Australia 1-0, but a shoddy show, with the bat in particular, cost them the series with New Zealand by a 2-1 margin. Their batting woes continued in the first Test in South Africa, which they lost by six wickets. Moment to remember: Less than two years after a famous win at Lord’s, Pakistan repeated the feat by subduing England with both bat and ball. Seamer Mohammad Abbas, who took 8/64 (4/41 and 4/23), was instrumental in condemning England to 184 and 242. In between, four batsmen scored fifties to take Pakistan to 342, which proved enough for a nine-wicket win. Moment to forget: Chasing 176 in the first Test against New Zealand at Abu Dhabi, Pakistan were on course at 130/3 when Asad Shafiq was caught behind off Neil Wagner. This triggered a manic collapse, and Pakistan ended up snatching a four-run defeat from the jaws of victory. The narrow defeat ultimately proved to be the difference, as New Zealand took the rubber 2-1. The Windies kicked off their home season by winning the first Test against Sri Lanka, but eventually had to settle for a 1-1 draw. They followed it up with a 2-0 mauling of Bangladesh. Their good run at home could not be translated to success on the road, as they had a harrowing time in the subcontinent. They were swept aside in India as well as Bangladesh, where the Tigers exacted quick revenge. Moment to remember: Bolstered by a gusty 125* from wicketkeeper Shane Dowrich, the West Indies recovered from 147/5 to declare at 414/8 in the first Test against Sri Lanka at Port of Spain. They maintained their grip on the contest thereafter, and won by a convincing margin of 226 runs to take a rare series lead. Moment to forget: The second Test against Bangladesh at Dhaka was a complete annihilation for the Windies. After allowing the hosts to go from 190/5 to 508, the islanders were dismissed for 111 and 213 by an all-spin attack. None of the batsmen showed enough application, which was amply reflected in the three-day rout. Given their recent form on their own turf, Bangladesh would have considered the home reversal against Sri Lanka a step backward. The Tigers had only one overseas assignment in the year, in which they were steamrolled by the Windies. Back at home, a defeat to Zimbabwe at Sylhet added to the pressure, but they squared that series and then got back at the West Indies with their own 2-0 clean sweep. Moment to remember: Bangladesh recorded an innings win for the first time in their history when they beat the West Indies by an innings and 184 runs at Dhaka. Off-spinner Mehidy Hasan Miraz bettered his own record for the best match figures by a Bangladeshi bowler, with a rich haul of 12/117 (7/58 and 5/59). Moment to forget: The Tigers hit a new low at North Sound when they were blown away for a mere 43 by the West Indian pacers. Only one batsman reached double figures, and the innings lasted just 18.4 overs. Not only was this Bangladesh’s lowest total, but also the lowest total in all Tests since 1974, and the lowest against the West Indies. Zimbabwe’s lone Test series was a two-match affair in Bangladesh late in the year. Against the odds, they upstaged the hosts by 151 runs in the first Test, before losing the second by 218 runs. Moment to remember: Zimbabwe notched only their third Test win away from home when they beat Bangladesh by 151 runs in what was the first Test to be played at the Sylhet International Cricket Stadium. Their most recent overseas win prior to this was also against Bangladesh, at Chittagong back in 2001-02. Moment to forget: The win at Sylhet gave Zimbabwe a golden opportunity to win their first overseas Test series in 17 years, but Bangladesh evened things out with a 218-run win at Dhaka, despite a monumental effort from Brendan Taylor (110 and 106*). Ireland made their long-awaited Test debut against Pakistan at The Village in Malahide, and impressed in a five-wicket defeat, despite being made to follow on. The talismanic Kevin O’Brien (118) scored Ireland’s first Test century. Fast-rising Afghanistan became the 12th Test nation a month later, with their inaugural Test against India at Bangalore ending in a heavy defeat by an innings and 262 runs. New Zealand prevailed by just four runs in a thrilling first Test against Pakistan at Abu Dhabi, despite being bowled out for 153 in the first innings. Pakistan took a lead of 74, before Henry Nicholls (55) and BJ Watling (59) helped New Zealand set a tricky target of 176. At 130/3, Pakistan were well on top. However, they lost their last seven wickets for 41, with debutant left-arm spinner Ajaz Patel returning 5/59. Indian captain Virat Kohli was the year’s most prolific batsman, with a tally of 1322 runs at 55.08. He scored five brilliant centuries, beginning with 153 at Centurion, and reached his peak in England, where he logged 593 runs at 59.30 (244 more than the second-highest) at 59.30, including 149 at Edgbaston and 103 at Trent Bridge. Later, he struck a fine 123 in the first Test to be played at the Perth Stadium.